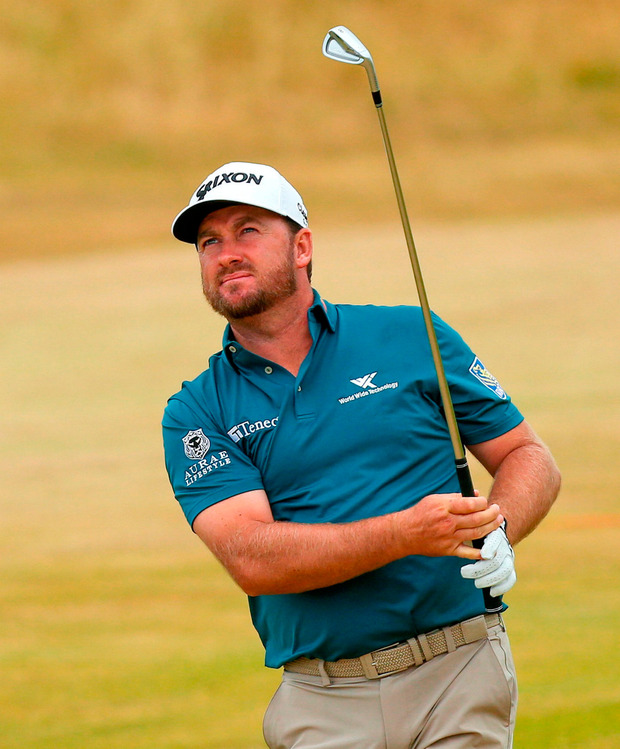 Shane Lowry needs a few days off after a "draining" Irish Open but Graeme McDowell will head for the "last chance saloon" in Scotland to chase his place in The Open at Carnoustie. Lowry feels more pressure than most to perform on home soil and after a closing 70 left him tied for 28th with Rory McIlroy on two-under par, and he confessed that he didn't enjoy the Irish Open. "I'd be lying if I said it was a very enjoyable week, and that's no disrespect to anyone," said Lowry, who was left to rue a third-round 74 that destroyed his chances of a second Irish Open title. "It's a tougher week than I normally get. It's weird because I love playing in front of the Irish people, but I try my best and I try probably too hard to do well for them and for myself and for my family that's here. "I just let it get to me for nine holes yesterday and that was the big downfall of my whole week, was sort of nine holes yesterday, and I wish I could go back and play those again but unfortunately I can't." He added: "I think wanting it too much is probably the biggest thing. The crowds out there almost want it too much for you, as well. It's hard. I just find it difficult. I don't know why. "People at home might look at me and think I'm mad for saying that but that's the way it is." Lowry is not playing this week's Aberdeen Standard Investments Scottish Open at Gullane but McDowell will be there despite threatening on Saturday evening to return to Orlando to recharge after playing seven events in eight weeks. "I think I may have changed my mind there slightly," McDowell confessed with a grin after a closing 71 washed away the frustration of Saturday's 73 and left him tied 40th on level-par with Paul Dunne, who also shot 71. "I was feeling maybe a bit of fatigue in my body and I was maybe over-reacting a little bit. I've played so much golf and there's no point quitting now when we have more Open spots up next week. "(It's) last chance saloon. Go home, mum's home-cooking, go up to Portrush, recharge and get ready. "With everything I have been through this week with lost bags and missing Open qualifying, it would be silly of me to have come this far these last few months and played so much golf as I have and not go the extra mile and play next week. "It's been a long road so we might as well finish this last mile and see if we can't get ourselves to Carnoustie."